“Over the last couple of months, I have repeatedly discussed the deterioration of market breadth, momentum and the fundamental backdrop of the markets. It is that last paragraph that I want to focus on with you today. Let me clarify something before I go further into this week’s missive. The reason I say this is that since, in the words of Bob Farrell, “bull markets are more fun than bear markets,” investors tend to seek out “bullish” commentary to support their “hopes” of a continually rising bull market. The danger, as I have addressed in the past, is that individuals become “willfully blinded” to data that does not conform to their personal biases. This bias of seeking out only “confirming data,” known as confirmation bias, leads to decision making that is ultimately prone to error. While I am personally tagged as a “bear” because I discuss not so optimistic views of the market and point out inherent risk, I assure you I am NOT a bear. I am also NOT a bull. I simply look at the relevant data and make determinations of risk based on historical precedents and statistical data. However, it is this focus on capital conservation and risk management that gets me habitually tagged as a “bear.” If that is the case, so be it – I will gladly wear that moniker if that leads to better outcomes for those I work for. Let me reiterate this point. A strict discipline of portfolio risk management will NOT eliminate all losses in portfolios. However, it will minimize the capital destruction to a level that can be dealt with logically, rather than emotionally. In the end, it does not matter IF you are “bullish” or “bearish.” The reality is that both “bulls” and “bears” will be owned by the full-market cycle. However, what is grossly important in achieving long-term investment success is not necessarily being “right” during the first half of the cycle, but by not being “wrong” during the second half. This is critically important to understand considering that the markets have very likely broken the bullish trend that begin in 2009. Take a look at the first chart below. This “weekly” chart of the S&P 500 shows the bullish trends which were clearly defined during their advances in the late 1990’s, 2003-2007 and 2009-present. Each of these bullish advances, despite ongoing bullish calls to the contrary, ended rather badly with extremely similar circumstances: technical breakdowns, weakening economics, and deteriorating earnings. As I have shown in the chart above, when the markets broke the bullish trends (blue dashed lines), the subsequent bear market occurred rather rapidly. The conversion from the bull market to the bear market was marked by a breakdown in prices and the issues of a very long-term “sell signal” as noted in the bottom of the chart. When markets break their long-term bullish trend supports combined with important long-term sell signals and a sharp decline in momentum, it has historically denoted the start of a “bearish market trend.” The red highlight denotes the start of the bear market and the yellow highlight shows the ensuing bear market completion. They are swift and brutal. The next chart, which is the same as above, completes the analysis by pointing out the important signals showing the change in trend. No. I NEVER suggest being in “all cash.” From a management standpoint, this is never a good idea. Trying to “time the market” is impossible over the long-term and leads to very poor emotionally based decision making. However, as I regularly write, it is our job to reduce portfolio risk to manageable levels to preserve capital over time. We can do that by increasing and reducing our exposure to equity-related risk by paying attention to the price trends of the market. By the time the markets register important “sell signals” denoting a change from the bullish to bearish trend, the markets are generally oversold from the previous selling. This is, as shown in the chart below, always the case. The top section of the chart is a basic “overbought / oversold” indicator with extreme levels of “oversold” conditions circled. The shaded area on the main part of the chart represents 2-standard deviations of price movement above and below the short-term moving average. In particular note the top and bottom portions of the chart. These two indicators measure the “over bought” and “over sold” conditions of the market. You will notice that when these indicators get stretched to the downside, there is an effective “snap back” in fairly short order. “With the markets having issued multiple sell signals, broken very important support and both technical and fundamental deterioration in progress, it is suggested that investors use these “snap back” rallies to reduce equity risk in portfolios. 2) Positions that performed with the market should also be reduced back to original portfolio weights. 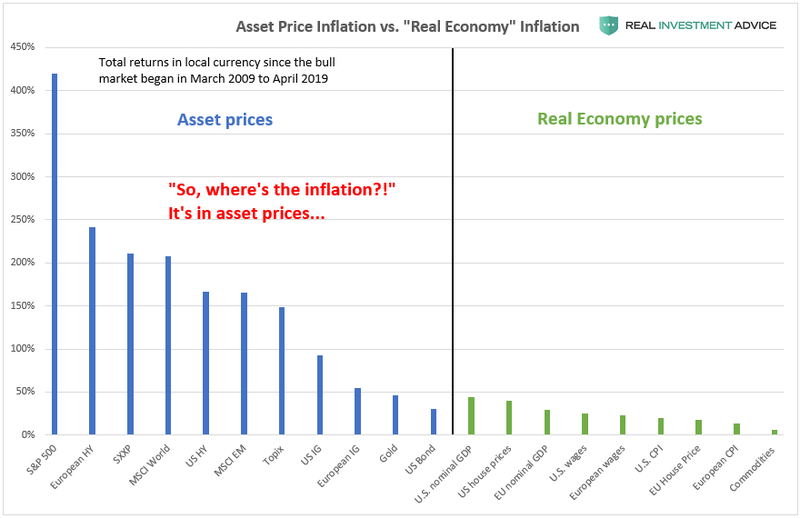 This could all change, of course, if the Federal Reserve leaps into action with a rate cut, another liquidity program or direct market intervention. However, until that happens, it is better to be safe than sorry. In a quick reversal from last week, the defensive sectors of REIT’s, Utilities, Bonds, and Staples have become safe havens for capital as previous leaders of Technology and Discretionary sectors have come under pressure. Energy remains a disaster along with Mid and Small-Cap indices. Health care, Materials, and Industrials are improving by not losing as much. Portfolio equity models that rotate sectors (offense to defense) do not work in bear markets. It has gotten worse this week. NO sectors have a positive return. The call for fixed income to go below 2% this year is rapidly coming to fruition. Hold off adding to fixed income for now. Hold current allocations for now and add to positions when the equity market bounces. Energy has now broken all levels of support and is likely headed lower. Remain out of the energy sector, for now, including MLP’s. Use rallies toward $60 (XLE) to reduce exposure, the new target is likely in the mid to low $40’s. Again, with the sell-0ff this week, the markets are oversold enough to elicit a short-term rally over the next week or so. As you will notice, the model is currently carrying 35% cash in the portfolio. Any rally in the markets should be used to increase cash accordingly. As discussed above, the market is threatening to break to the long-term trend support. A change in TREND is critical and suggests that the bull market advance that began in 2009 is over. As shown in the chart above, the technical deterioration is significant. I continue to advise caution. The 401k Model is NOT being tactically adjusted at this time because the markets are VERY OVERSOLD on a short-term basis. Over the next week or so the markets will likely rally to towards previous resistance at 1990 on the S&P 500. This level should be used to reduce portfolio equity risk to the current model levels. 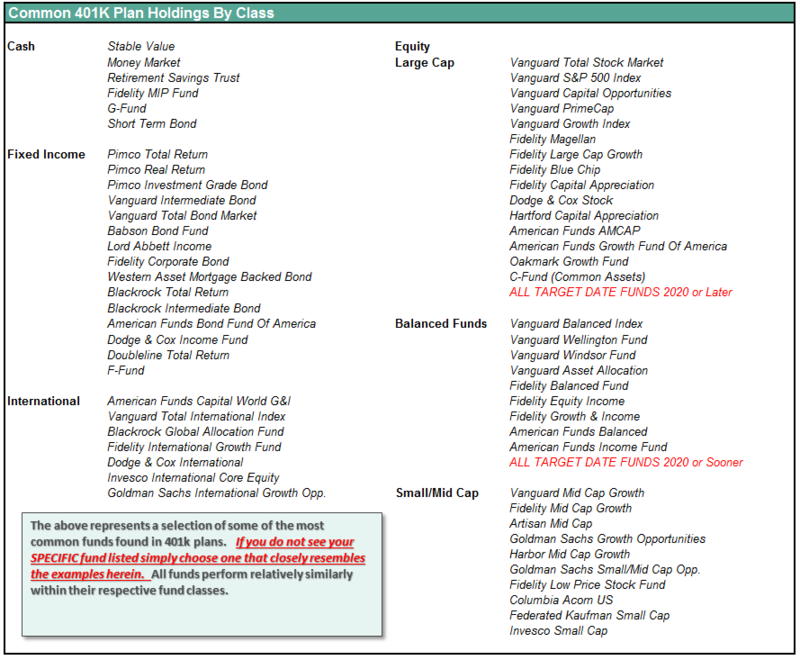 Portfolio management rules still apply for now. If the recent market volatility has made your nervous as of late, you are probably carrying too much risk in your portfolio. As always, your portfolio, much like a garden, must be tended too in much the same way. By doing so, it will ensure that it prospers and grows over time and yields a fruitful bounty. HARVEST: Reduce “winners” back to original portfolio weights. This does NOT mean sell the whole position. You pluck the tomatoes off the vine, not yank the whole vine out of the ground. WEED: Sell losers and laggards and remove them garden. If you do not sell losers and laggards, they reduce the performance of the portfolio over time by absorbing “nutrients” that could be used for more productive plants. The first rule of thumb in investing “sell losers short.” So, why are you still hanging onto the weeds? FERTILIZE AND WATER: Add savings on a regular basis. A garden cannot grow if the soil is depleted of nutrients or lost to erosion. Likewise, a portfolio cannot grow if capital is not contributed regularly to replace capital lost due to erosion and loss. If you think you will NOT EVER LOSE money investing in the markets…then STOP investing immediately.